Many now know what lurks in the average house hold cleaning product. Many of course still don’t, otherwise, those companies wouldn’t be able to afford their silly TV commercials. To that end, I’ve decided to write a basic cleaning products guide, for what we use at home here. If you have a cleaner, don’t think it doesn’t matter – think of them and think of the fact that it’s all over your home surfaces, so while you might not be using harmful cleaners, you’ll still be surrounded by them, regardless. It might shock you to know that there is no required testing, data submission or labelling on cleaning products before bringing them to market. These 3 are the worst and rather than profile the long list of all of them, best know the 3 most popular, how horrid they are, and then simply move on. 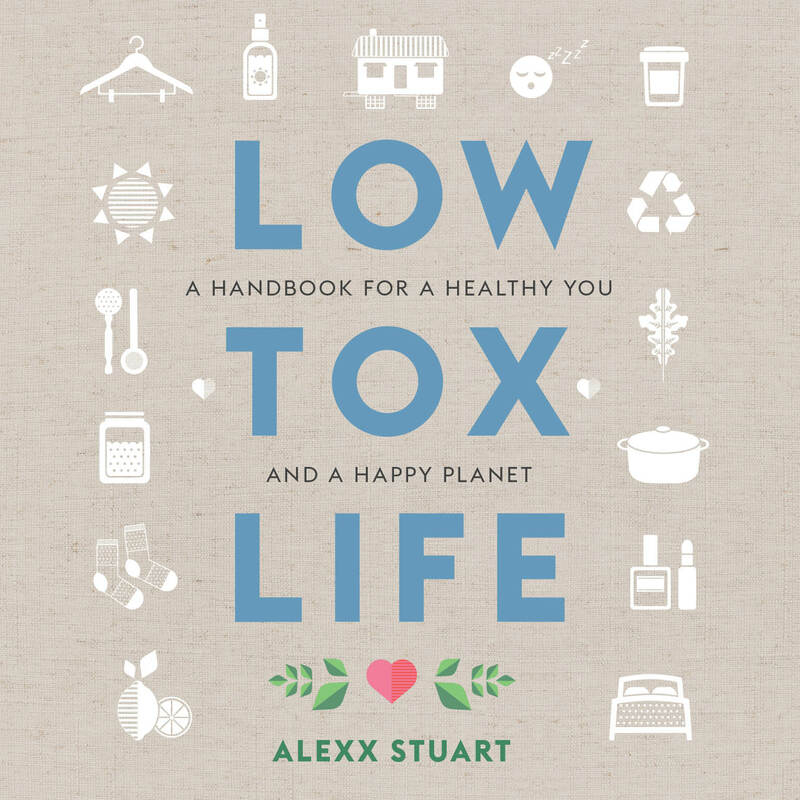 If you do want to deep dive you can always join me for “Go Low Tox” the e course next round which is well worth doing once in your lifetime for a full sweep of absolutely every area of life. Triclosan – Petroleum derived, triclosan is often the bad boy behind the word ‘antibacterial’ on your cleaning products, hand soap, deodorant, antibacterial face washes and toothpaste. Stay away, as it is often contaminated with chloroform, can cause skin, eye and lung irritation, can disrupt the immune system and accumulate in the environment, toxic to algae and fiddling with the growing habits of some fish. O.M.G is right! Your new weapon to achieve the same disinfecting effect: soap and water. Let me say that again: Soap and water! True story. Back in 2015, the FDA issued a challenge after seeing some of the effects of triclosan on thyroid in the scientific literature. Their challenge was to have scientists prove that triclosan achieved MORE of an antibacterial/sanitising result than soap and water did. Could anyone prove it? NOPE. So, As of December 2017 in the USA (unfortunately not elsewhere as of this writing in 2018) triclosan was banned from handwash, soaps and sanitisers. Go America! Quarternary Ammonium Compounds (Quats) – Found in fabric softeners, fabric softening sheets. These also operate similarly to triclosan, and to boot, aggravate asthma in many people and contact dermatitis/eczema. Totally unnecessary when many natural, non irritating options work so well. Others worth avoiding are SLES, Petroleum derived benzyl alcohol, unsustainable palm oil derivatives, parabens… You can grab the Chemical Maze app for your phone if you want to decipher commercial products, or have a go at making some beautiful formulations yourself. Remember, don’t feel guilty for yesterday’s choices. Feel excited for what you will change today. So what can we use, then? You’ll be using white vinegar from distilled, fermented spirit – if it doesn’t specify that it’s been made from distilled spirit, then it’s most probably petroleum derived, manufactured acetic acid. Home brand supermarket ones are generally the nasty version, not very environmentally friendly at all, really, so Cornwell’s White vinegar is the one I use, available at the supermarket also. 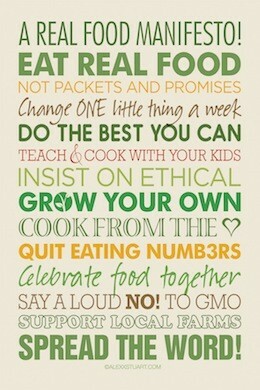 A great in depth post from the gorgeous Eco Mum here. We’ll also be using bi carb soda, essential oils, olive oil, sea salt, lemon and water. Revolutionary stuff! Yes, it’s antibacterial too! Use this on kitchen surfaces, around sinks, window sills, mantles, shower tiles. Just not wood. Note: Steer clear of citrus oils in your multipurpose spray due to their high D-Limonene content. 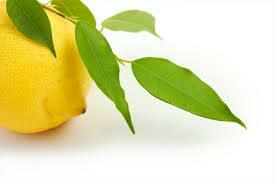 d-Limonene can weaken floor varnishes and waterproofing membrane in your bathroom and kitchen. Pop it all into a spray bottle. Shakey shake before use. Done. Use this on kitchen surfaces, around sinks, window sills, mantles, shower tiles. I have a very personal and rather epic story about mould that you can read HERE. Did you know bleach doesn’t kill mould? The mould spores actually omit a toxic gas retaliating against the bleach, and while the bleach removes it from sight, they’re still alive under there and grow back. Save your lungs and move to this nifty little spray. Please keep in mind that if you have mould growing through your walls, you MUST GET TO THE SOURCE of why it’s happening – a leaky pipe or tap must be addressed or you’ll cause more and more damage over time. But, if you have just a bit of mould from condensation here and there on your shower tiles or ceiling, removing it safely is key. Wear a dust mask or proper hepa filter mask or if you’re sensitive to mould, get someone else to do the mould removal. Use kitchen paper towel and toss it in the bin afterwards. Wasteful, I know, but you do not want to be removing the mould from one surface, and then spreading it over others with a reusable cloth. Wipe and remove mould as needed. Now? Keeping windows open every day (and door to rest of house shut in winter). Ventilation is your friend and if it’s hard to ventilate, consider a dehumidifier to blast a couple of hours here and there in the winter, especially after showers and rain. This is a tough one to make, and can get really tricky. You ready? Cut a lemon in half. Squeeze a little into your morning veggie juice or smoothie. With the remaining lemon in the squeezed half, wipe all over your sink, laundry sink, casually – honestly, no need to break a sweat. Then wipe it down. Shiny and new. All grease, caked on bits… everything gone. Oh dear, another really tough one, that you’re probably going to switch straight back to those old, toxic furniture polishers, I’m sure. Olive oil. Dab a little on a tea towel and polish. There. That’s it. Seriously. Do wooden furniture, leather furniture and leather shoes. This is great. So easy and no more poisoning our lungs with those toxic cleaners. Equal parts sea salt, vinegar and bi carb soda. 1/4 cup of each is good for your average sized oven. Turn the oven on 180C / 350F and put an oven dish, half full of water in the oven and ‘bake’ to create steam for about half an hour. Do not add the paste to this dish. Cool oven a little before scrubbing your paste on the oven walls. Wipe down. Rinse with a couple of watery tea towels. Done. Don’t add an essential oil to this one. Rose geranium baked pumpkin anyone? No thank you! Personally, I don’t make this often, because I find between a pure lemon for stainless and the multi purpose spray, a cream cleanser (jif-like) isn’t really needed. However, if it’s a texture you like to use when cleaning, especially for a bath, then be my guest. 1/2 cup water and mix. If a paste hasn’t formed, keep adding a little water, bit by bit until you have a paste. Add 10 drops of essential oil of your choice for beautiful fragrance. They just keep getting even easier! All you need to do is soften your wash water for super soft clothes and towels. Dissolve half a cup of bi carb soda in a cup of water and pop in the wash with your clothes. Reap the results. So there you have it. 7 ways to ditch the toxins when it comes to cleaning your home (or someone else cleaning it for you. They will thank you!). There are loads more ways, variations and options but to get started, if you adopt these, where you were once using supermarket cleaning products, you will literally be reducing your chemical intake through breathing and skin contact by hundreds of exposure points per week. One last tip for air freshening around the home? Oil burners with beeswax candles and your favourite essential oils. You could also consider an electric oil burner. If you want to quickly blast and freshen, I love popping a tiny bit of water in a saucepan on high heat with 20 drops of essential oil. 5 minutes and the steam does its work with the house smelling amazing! Feel free to share your recipes and things that work for you! I’ve loved using these methods. Where once I used to get migraines, wheezing, dermatitis and hives from cleaning my house, now? Well, while I’m no domestic blissed out goddess when it comes to cleaning, at least it feels good to know it’s about doing the right thing by my family, home and the planet. I understand the baking soda and vinegar for the oven cleaning but what purpose does the salt have? Is it for a bit of tooth to scrub with? Hi Alex! Thanks for the very interesting talk on Saturday at the markets! Hi Alex. I am curious if you fill the bottle up completely of your all purpose spray or just enough for the days cleaning. Does it last and retain its fresh smell if kept in a spray bottle? Thanks for your info, very inspiring for a beginner and a nervous one at that. It lasts infinitely, so if you have a big spray bottle, do 1.5 or 2 times the mix for the multi purpose spray. On the topic of essential oil, I do like to add a couple of fresh drops to the mix every now and then. Not sure whether that’s just me, or whether it actually needs it. Make the mix your own. See what you like. There’s no wrong way with this… I’m so excited it’s got you thinking Liz. I can’t wait to hear how you went! Thanks Alex for a fantastic, simple guide to non toxic house cleaning. I usually use bi carb, vinegar & lemon for my cleaning, but I must try your mould killer. Think my bathroom could do with a treatment of this! And olive oil on the furniture, so simple! A quick tip for the garden…vinegar will kill weeds, just spray it directly on to the weeds & they begin to shrivel up within a couple of days. The water in my town is heavily calcified and makes cleaning the shower screens etc really difficult. Do you think your ‘Multi-purpose Spray’ will get through the build up or do you have another suggestion I could use? These home made cleaning alternatives are a brilliant idea – not only are they non-toxic, but inexpensive too. It’s good to encourage toxic free chemicals in the home, especially if you have young children or pets. When it comes to effective carpet cleaning, or stain removal however, I feel it best to approach a professional carpet cleaning company. Hi, thanks for the great ideas on cleaning products. Yes, there are a lot of harmful chemicals in conventional cleaning products! For my furniture polish I like to mix in lemon juice or citrus scented essential oils to make it smell like traditional furniture polish. as well check things out. I like wat I see so i am just following you. Reading this info So i am happy to convey that I’ve an incredibly just right uncanny feeling I came upon just what I needed. I so much no doubt will make sure to don?t forget this site and provides it a look on a constant basis. 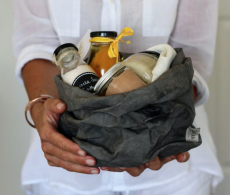 your cleaning toxin free with these 7 easy home made cleaning products is kinda boring. You should look at Yahoo’s front page and watch how they create article headlines to grab people interested. connect with each various other. Hi! Great ideas. Any thoughts of what can be put in the closets and around the house that is natural and stays smelling good for a long time versus the amazing smelling but full of chemicals reed diffusers? thankyou heaps. laundry AWARE has filler apprently do you know if this is true? yes will be seeing if my local sells kin kin. just had a quick look love how they have fewer ingredients. I was searching around your site to find a way to clean fabric but couldn’t find one. I have a really dirty armchair I want to clean without using a heap of harsh chemicals on it. Do you have any tips or recipes for that? Hi Alex, Ive got caesarstone bench tops in my kitchen and was told not to use vinegar as it will damage the stone, do you recommend any bench cleaner brands or other home made versions that would be gentle enough to use on stone? Thank you. Sorry it auto corrected the spelling of your name Alexx. loved listening to your podcast with Quirky Jo recently. Do you have a recipe for making dishwashing liquid?